Have a bright and cheery weekend just like this new work from Rachel Castle! Love it. Luv this! 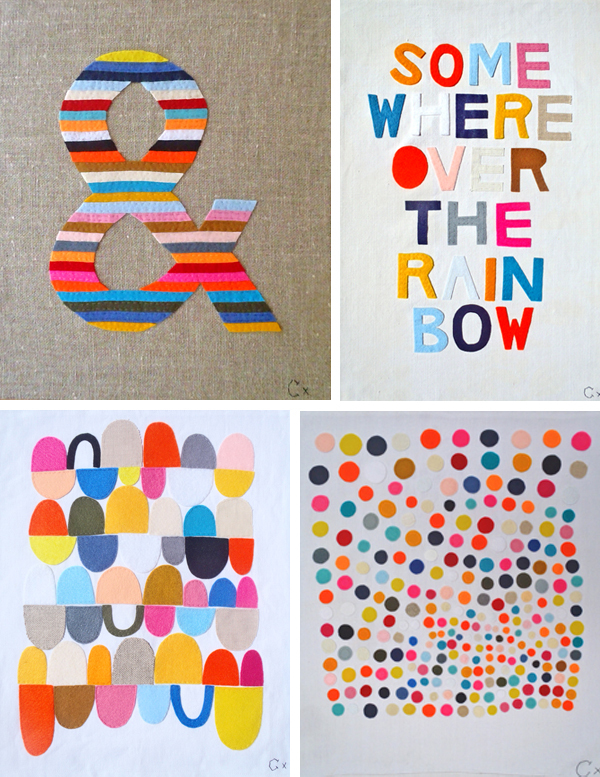 Typography,mixed media and color = graphic design heaven. i love that polka dot one. i hope my weekend is half as colorful! i just wanted to let you know that i am newly obsessed with your blog. going back through your posts has given me a new energy to blog with. thanks for being so inspirational. I love this too... especially that rainbow ampersand! So cheerful colors. I love this. I love Castle, I posted about it few weeks ago. Their product look great in everywhere. Wow Eunice, thank you I appreciate it! Good luck with blogging, it is so much fun. I absolutely LOVE these. So fun! Rachel Castle's work is really awesome.